2017 ArtsGoggle - REGISTRATION NOW OPEN! - Near Southside, Inc.
2017 ArtsGoggle - REGISTRATION NOW OPEN! ArtsGoggle is an outdoor street party spreading more than a mile across the Magnolia Village. The street festival closes Magnolia Avenue to car traffic from 8th Avenue to South Main Street and fills 18 blocks with more 650 visual artists booths and three stages with music and performance art of all varieties. Artists wanting to participate outdoors at the Magnolia Village street party can request this location on their ArtsGoggle Artist Application, and can even request a specific block. All artists will be allotted a 10'x10' space, unless a larger space is requested. Artists must provide all their own supplies including tent, tables and displays. However, we are able to provide a small amount of electricity to each booth to power booth lights and small electric device. Tents will line the center of Magnolia Avenue, placed side-by-side and back-to-back with power running between the tents for easy access. More details are provided online in the artist application. All ArtsGoggle participation details are below. Artists are defined as visual artists working in studio arts. Painters, photographers, woodworkers, weavers, printmakers, sculptors, potters, jewelers, illustrators and artists of all mediums may now register online! The visual artist application fee is $45 and all money collected is used towards event production expenses. Check out our new, easy, step-by-step registration process. TO GET STARTED: Go to www.nearsouthsidefw.org and create a user account if you have not already done so in the past. For example, if you registered for last year's ArtsGoggle or this year's Friday on the Green market you will already have a username and password. When you login you'll be able to access a customized user portal where you can view the ArtsGoggle application and all future artist opportunities. You can access the login link for your account from any page on the website always located at the upper right hand corner and you'll be taken to your user portal. STEP 1: In the portal, click on the grey "Artist" tab and create an Artist Profile. If you participated in last year's ArtsGoggle you will already have an artist profile so please make sure to carefully review last year's Artist Profile for accuracy! You must have an artist profile before being able to access an artist application. Artist profiles are used to keep a database of artist information on file with Near Southside, Inc. to notify you of future artist opportunities. When applicable, we will share your information with our business partners seeking artists for special projects such as murals, art exhibitions, or privately commissioned works. Please make sure to provide accurate information and high quality work sample photos, as the information in your artist profile is also used to evaluate the quality of your work for inclusion in ArtsGoggle. The profile should be easy to complete, but if you begin working on it and need to stop you are now able to SAVE YOUR PROGRESS and return at a later date to complete your work. STEP 2: Purchase the ArtsGoggle Artist Application for $45 using our safe online payment system. STEP 3: Fill out your ArtsGoggle Artist Application. Now that you have purchased the application it will always be accessible to you from your user portal. Like your artist profile, you'll be able to return to your ArtsGoggle Artist Application at your convenience to finalize the details of your ArtsGoggle participation. This includes the ability to request a specific block placement and being placed near another participating artist. You can also return to update your work sample photo, artist statement and other information printed in the official ArtsGoggle Program. ALL APPLICATION INFORMATION MUST BE SUBMITTED PRIOR TO SEPTEMBER 4, 2017. Artists who do not complete their application prior to September 4 will forfeit their position at ArtsGoggle with no refund. TO GET STARTED: Go to www.nearsouthsidefw.org and create a user account. When you login you'll be able to access a customized user portal where you can view the Musician/Entertainer Profile. You can access the login link for your account from any page on the site. Just click on the log-in link always located at the upper right hand corner and you'll be taken to your user portal. STEP 1: Once logged in to your "portal" create a FREE Musician/Entertainer Profile. You must create a profile before being able to apply for ArtsGoggle booking consideration. If you registered for last year's ArtsGoggle you will already have a Musician/Entertainer profile so please make sure to carefully review last year's profile for accuracy! Musician/Entertainer profiles are used to keep a database of information on file with Near Southside, Inc. to notify you of future booking opportunities such as Friday on the Green. When applicable, we will share your information with our partners seeking musicians or entertainers for their own booking purposes such as special events, festivals, or live music venues in the Near Southside. STEP 2: Click on the button for your FREE ArtsGoggle Booking Application. You'll see a "shopping cart" area but have no fear, there is no cost to apply. Once you have completed your free ArtsGoggle booking application the team at Panther City Exchange will review your profile. If interested in booking you, Panther City Exchange will contact you. • An artist/s showcasing their artwork whom you have made arrangements with. Artists are also required to register with ArtsGoggle. TO GET STARTED: Go to www.nearsouthsidefw.org and create a user account if you do not already have an account registered with our website. When you login you'll be able to access a customized user portal where you view all ArtsGoggle opportunities. You can access the login link for your account from any page on the site. Just click on the log-in link always located at the upper right hand corner and you'll be taken to your user portal. STEP 1: Once logged in to your "portal" create simply click on the hot pink "ArtsGoggle Venue Step 1: Register Venue" button and purchase your ArtsGoggle venue application. Near Southside, Inc. is seeking a $10,000 title sponsor, four $3,000 stage sponsors and eighteen $1,500 block sponsors for the 2017 ArtsGoggle. The event provides a unique opportunity for your company to promote its brand to thousands of attendees while also supporting a tremendously popular community festival that has become a treasured component of life in the Near Southside. Sponsorship contributions made to Historic Southside, Inc. are deductible as charitable donations. Since its inception in 2003, ArtsGoggle has evolved into a popular festival of the arts in this eclectic neighborhood of historic elegance and urbanism. This free to the public, family-friendly event attracts a crowd as diverse as the neighborhood itself with live music, artistic displays of every kind, food, drink, and fun for everyone. ArtsGoggle is unlike any event in Fort Worth, as residents from the nearby Fairmount, Mistletoe Heights, Berkeley Place, and Ryan Place neighborhoods are joined by medical district workers and visitors from throughout the region for a community arts festival focused in the Near Southside's Magnolia Village. 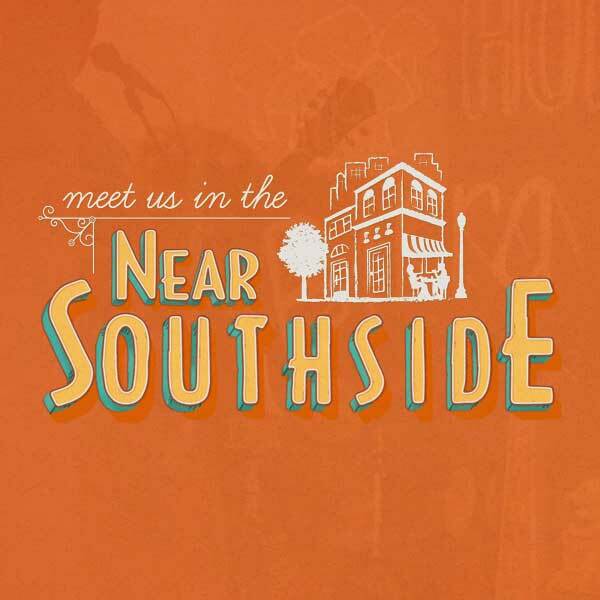 One of the event's goals - along with celebrating art of all kinds - is to showcase the unique and memorable character of the Near Southside. Visitors are invited to park their cars and rediscover this revitalized urban neighborhood by foot or by bicycle, including Fort Worth Bike Sharing bikes. ArtsGoggle prides itself in hosting a casual, approachable and vibrant environment to appreciate art and learn about the talents within our own community. For more than a decade, ArtsGoggle has been the launch pad for many artists showing their work for the first time. ArtsGoggle provides a supportive setting for both aspiring and professional visual artists, to display, sell and seek comment on their artwork. Embracing all arts, the event also boasts an impressive program of performance art and music. The 2016 ArtsGoggle featured more than 90 bands, many of which have members who live or work in the Near Southside. The entertainment at ArtsGoggle is diverse and showcases music from a variety of cultures and styles. The event partners with arts organizations across Fort Worth to draw attention to their programs. In years past ArtsGoggle has hosted the Fort Worth Opera for pop-up concerts; showcased Ballet Folklorico de Azteca for a colorful dance performance; and hosted The Bucket List Jazz Band, a band dedicated to the lifelong dream of 90-year-old Jim Milam to resurrect Dixieland Jazz. Event hours are Noon to 10pm, a full day to offer patrons time to experience all that ArtsGoggle has to offer and will allow greater sales opportunities for our artists. ArtsGoggle will focus on a street festival and venues within the Magnolia Urban Village. This condensed site map will provide a more manageable and enjoyable experience for our artists and patrons. The event is committed to keeping artist's fees affordable by requiring a registration fee of only $45, with no others fees to participate. Each year as ArtsGoggle grows, so do the operating costs of the event. In order to produce an even higher quality event with the same great neighborhood experience, the money collected provides vital funding to support improved communications, pre-event promotions, programs, signage and more. ArtsGoggle is free to the public, with no wristbands, tickets, admission costs. Unlike many popular for-profit events in Fort Worth, ArtsGoggle is produced by a not-for-profit community organization and thus has no need to produce revenue. Instead, the event is exclusively focused on creating an environment to appreciate and celebrate the arts. All funds raised for the event will be dedicated to producing a memorable and successful experience for artists, venues and patrons of all ages. ArtsGoggle is presented by Near Southside, Inc., the non-profit redevelopment organization working to revitalize this important urban neighborhood, in partnership with our sister organization Historic Southside, Inc. The event has regularly drawn crowds of 7,000-10,000 and in 2016 experienced incredible growth with a crowd estimated at 40,000 attendees filling the streets with visitors of all ages. The scene is a wonderfully pleasant testament to the community spirit that fills the Near Southside. ArtsGoggle is an expansion of Near Southside Inc.'s efforts to promote the Near Southside and build the community fabric essential to our continued development. 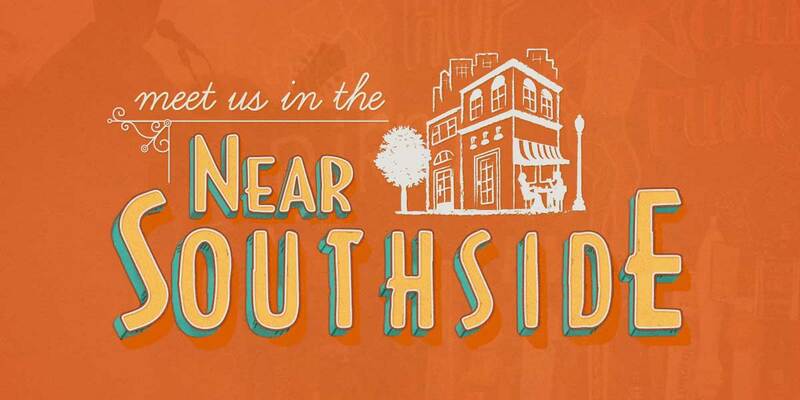 Since our founding in 1995, NSI has led development and promotional initiatives that have successfully transformed the Near Southside into one of the region's most distinctive and vibrant urban districts. Signs of NSI's 20-year revitalization effort are evident throughout the district, perhaps most apparent along Magnolia Avenue, S. Main Street and Park Place Avenue, home to the city's most eclectic selection of locally-owned restaurants and pubs.